Once the wealthiest city in the country with the most innovative architecture, whole neighborhoods and waterfronts have been revitalized, and there's a growing cultural and culinary scene that goes far beyond chicken wings. 1. 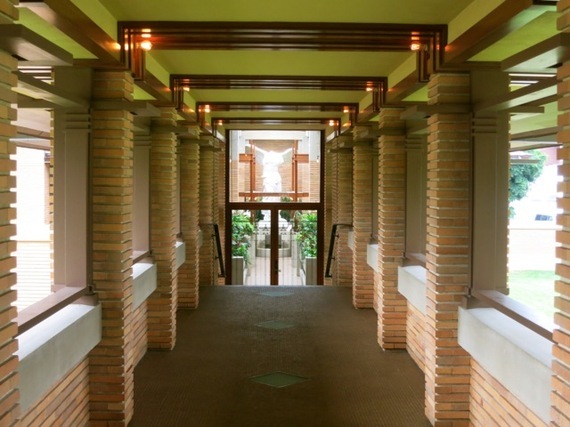 Buffalo is home to one of the country's most successful restoration projects -- Frank Lloyd Wright's Darwin Martin House. At the turn of last century, homes in the nicest sections of Buffalo cost $10,000 to build. Darwin Martin, a top executive in the Larkin Soap Co., spent $150,000 to have emerging architect, Frank Lloyd, create his prairie house ideal on six lots in one of the city's better neighborhoods. Wright designed a series of innovative, horizontal, and bold buildings that more than a hundred years later seem modern. 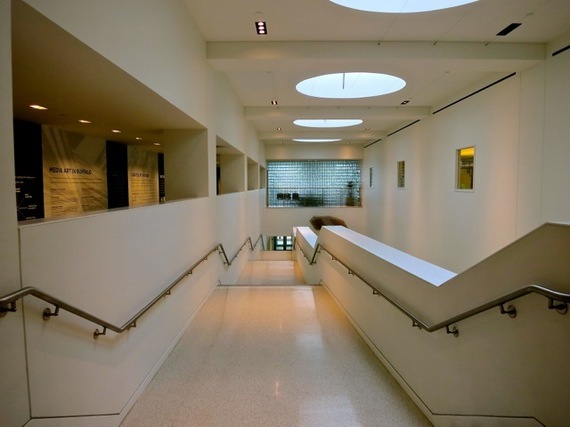 This was the commission that propelled Wright to national prominence and is now one of the nation's most comprehensive and well-executed restoration projects. Continuing on to the main house, the Martin complex retains 70 original Wright pieces of furniture, including a Steinway piano custom designed to match the sunburst fireplace in the reception room, which glimmers with gold-leaf brick mortar. The modern white kitchen, featuring nickel fixtures and a bank of windows overlooking a stunning garden, could be showcased in any magazine today. The reconstructed 175 ft. pergola, a sheltered walkway through landscaped gardens, leads to the jungle-like conservatory and rebuilt stables. 2. On 8.5 acres, Graycliff Estate, just 20 minutes from downtown Buffalo, was the result of a rare collaborative design between Frank Lloyd Wright and long-term client Isabelle Martin, and its restoration is a textbook example of grassroots conservation. Built on a gray limestone cliff (hence the name) overlooking Lake Erie, this bright multi-windowed complex was constructed for Darwin Martin's wife, Isabelle, as a "country home" to replace her beloved summer home in the Adirondacks. After Isabelle's eyesight failed in the 1920s, she worked with Wright to build a sunlit home so she could see as much as possible. Upon her death, the property was occupied by an order of Roman Catholic priests who altered the complex beyond recognition, and when they vacated in the early 1990s the house was slated for demolition. Several preservationists with little money -- but lots of passion -- formed the Graycliff Conservancy in order to save it from the wrecking ball, and Graycliff is now halfway through a complete restoration. A behind-the-scenes tour gives Wright fans a peek into the renovation process of one of his best mid-career organic buildings in the country. 3. See a never-before-built, Frank-Lloyd-Wright-designed gas station at the Buffalo Transportation Pierce-Arrow Museum. What was just until lately a place to house a collector's antique-car collection is now the home to never-built-in-his-lifetime but now realized Frank Lloyd Wright Filing Station. 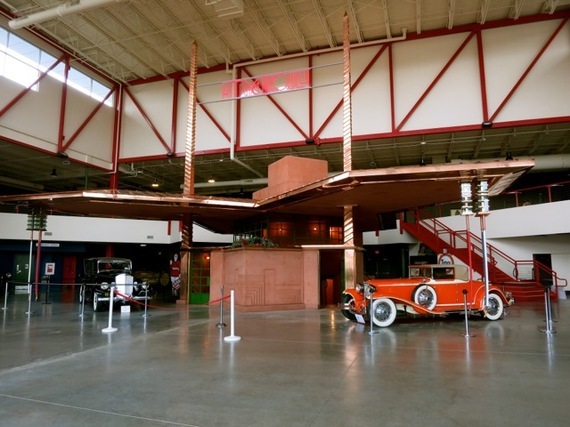 Jim and Mary Ann Sandoro have spent 40 years collecting cars and memorabilia, but this costly and rather unorthodox project has turned out to be one of the coolest attractions in the country for Frank Lloyd Wright fans. In 1927, having just completed Graycliff, Wright was broke and in the midst of a nasty divorce and scandalous relationship with an underage foreigner. Scorned and under a microscope, he was nevertheless hired by TYDOL to design a state-of-the-art gas station at a time when these pit stops were literally a pump and a shack. Wright imagined a copper-roof filing station that would spoil patrons with fireplaces, deluxe restrooms, and an ingenious gravity-flow rooftop gas dispensing system. Unfortunately the final design was much too expensive to build, and so it never was, until the Sandoros got a hold of Wright's original renderings. Now, you can walk into what Wright had originally envisioned -- gleaming copper roof and all, inside an extension of the Pierce-Arrow Museum built specifically for this reason. 4. Albright-Knox Art Gallery boasts the second-largest number of columns in the country (the first is the U.S. Capitol Building). 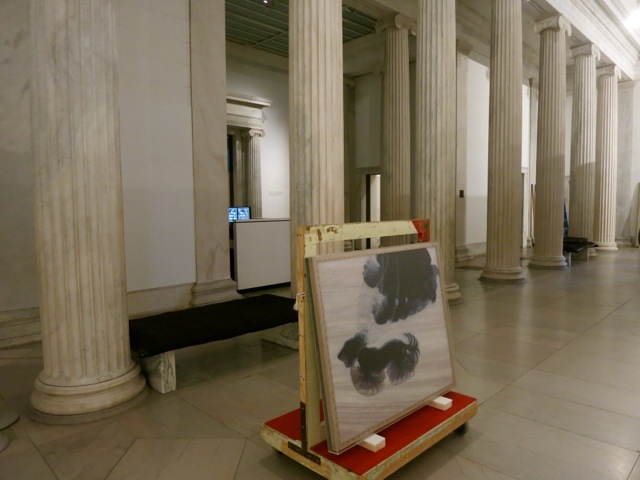 Since 1862, the Albright-Knox has been collecting "paintings while still wet" and remains on the cutting edge of modern art. Walk through Lucas Samara's Mirrored Room -- one of the most popular installations in the place. 5. The Burchfield Penney Art Center highlights the trippy, moody Audubon-on-drugs compositions of Charles Burchfield, the first artist to have a solo show at NYC MoMa in 1930. It also showcases the American "Craftsman" or "Arts and Crafts" movement, established by Elbert Hubbard just west of Buffalo. 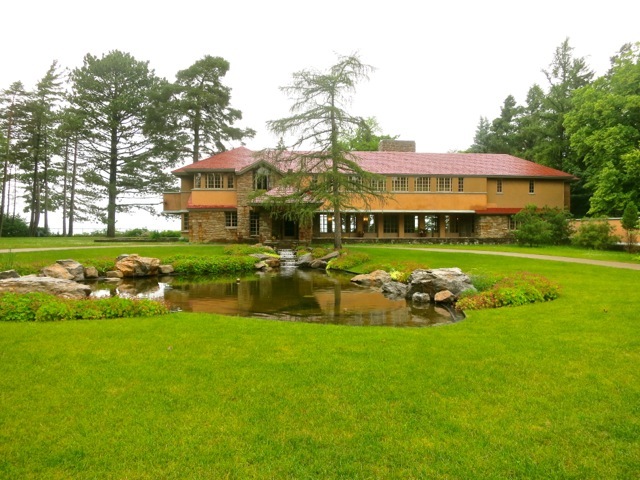 Impressed by the crafts movement in England and its push-back-against dark and fussy Victorian décor, Hubbard founded the Roycroft (Royal Craft) movement in Aura, NY, which focused on the use of wood, stone, iron, copper and other natural elements in sleek home design. 6. Mark Twain's original handwritten Huck Finn manuscript rests humbly at the Buffalo Public Library. 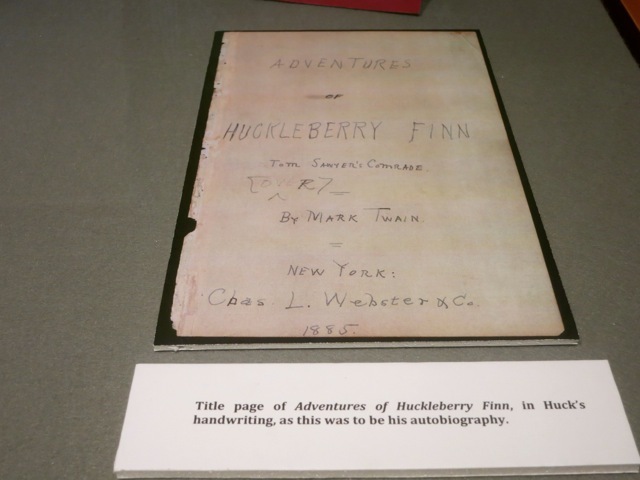 Discovered in 1990 in an old trunk in a California attic, here it is in living (red) color in Twain's own handwriting, cross-outs and all -- The Adventures of Huckleberry Finn. Incredible. 7. 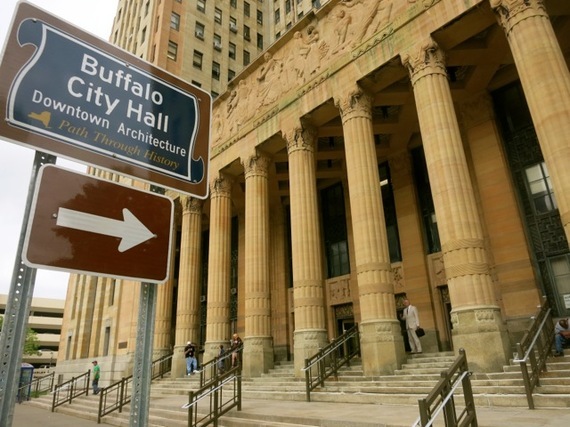 The 1932 Art-Deco Buffalo City Hall is arguably the most magnificent City Hall in the USA. 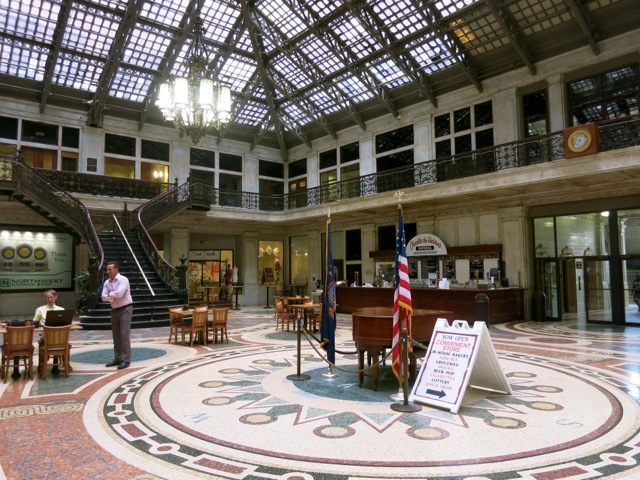 Take the elevator to the 25th floor observation deck (you'll have to climb an additional two floors to get to it) for a bird's eye view of Buffalo and Lake Erie. 8. 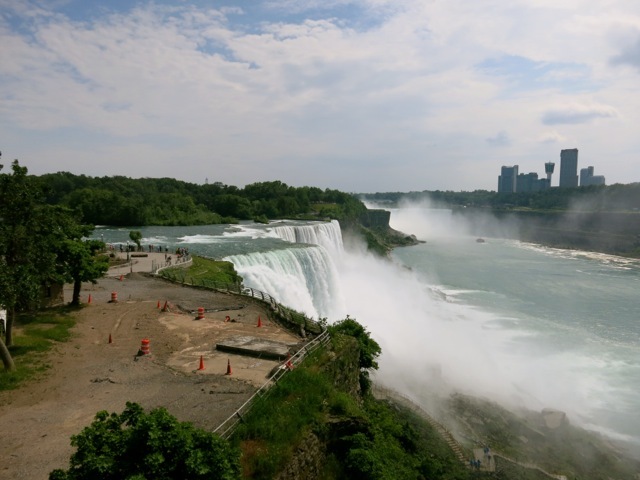 Drive 20 minutes to one of the Wonders of the World -- Niagara Falls, and be sure to get the combo-package: Maid of the Mist and Cave of the Winds. There's nothing else like it. 9. President William McKinley was assassinated in Buffalo at the 1901 Pan American Exposition. Like Lyndon Johnson on Air Force One, Teddy Roosevelt was quickly sworn in at his friend's home on Delaware Ave, now the Theodore Roosevelt Inaugural Site. 10. Yes, those are Cheerios you smell. Buffalo is home to the General Mills Cheerios plant, so the scent of this iconic cereal permeates the air. 11. 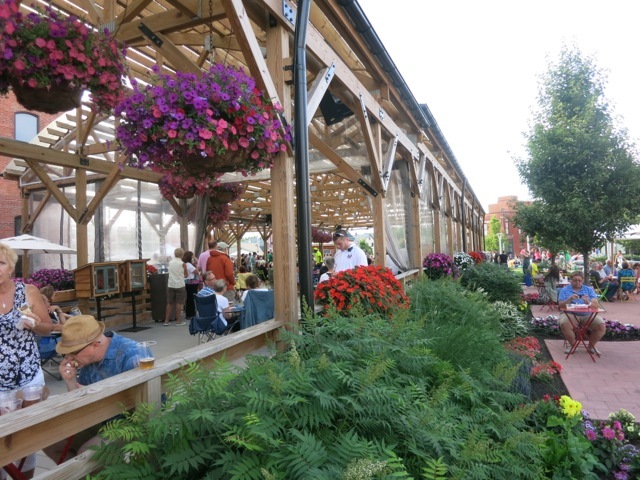 Formerly industrial and decrepit neighborhoods have been turned into beautiful, flowering community-gathering spots. 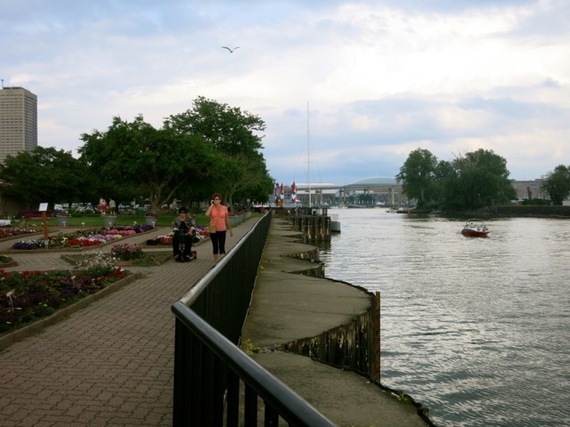 The mile-long esplanade of Canalside runs from the Buffalo Lighthouse to looming grain elevators, with a floating Naval Museum, restaurants, and open park space in between. You might stumble on a Zumba class in process (just join in! ), kids hoola-hooping or couples walking hand in hand along the riverfront. 12. Lounge chairs, free games for kids, gorgeous landscaping and plenty of places to hang out -- Larkin Square is like a college quad for everyone, but most cherished by over 2,000 people who work in the renovated Larkin Co. factory buildings. The area of Buffalo called the Hydraulics -- now a dynamically re-vitalized industrial sector and labor of love by owners/developers Howard and Leslie Zemsky -- is now the site of one of the most popular "Food Truck Rodeos" in Western New York on Tuesday evenings (30 trucks -- some from as far away as Rochester), Concerts on Wednesday nights, and Outdoor Urban Market Thursdays in season. 13. Buffalo Wings are indeed from Buffalo, but the now ubiquitous bar food wasn't always so. Invented on the fly at the Anchor Bar in 1964, Theresa Bellisimo needed to satisfy a hungry hoard of college kids with the chicken scraps she had on hand. The deep fried, hot sauce snack, as we now say, went viral. 14. "Beef On Weck" -- rare roast beef on a salt and caraway seed kimmelweck bun has definitely not gone viral. But locals love it and always recommend it. Get one quick at Charlie The Butcher's Express while ogling the interior of a Buffalo icon -- the Ellicott Square Building. 15. Sponge Candy is yet another singularly Buffalo food, and contrary to its name, it's a crunchy confection. It's a chocolate-robed crispy candy that looks just like a wild sponge. Find them at Watson's or Fowler's. 16. Greet the Bubble Man. 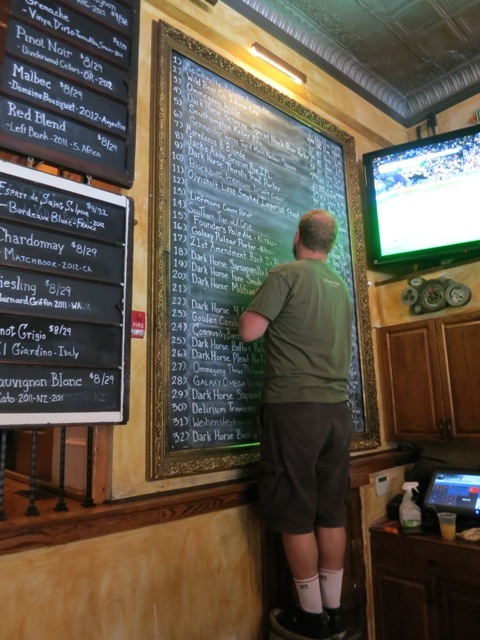 Stroll down Elmwood Ave to enjoy boutiques, restaurants and pubs, stop at the corner of Allen and Elmwood, and look up. 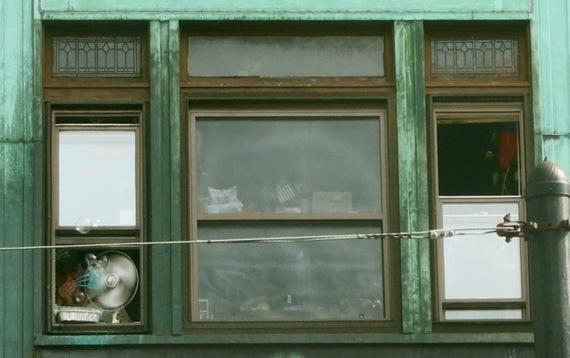 You might see the Bubble Man -- just a guy who blows billions of bubbles from his second story window. 17. 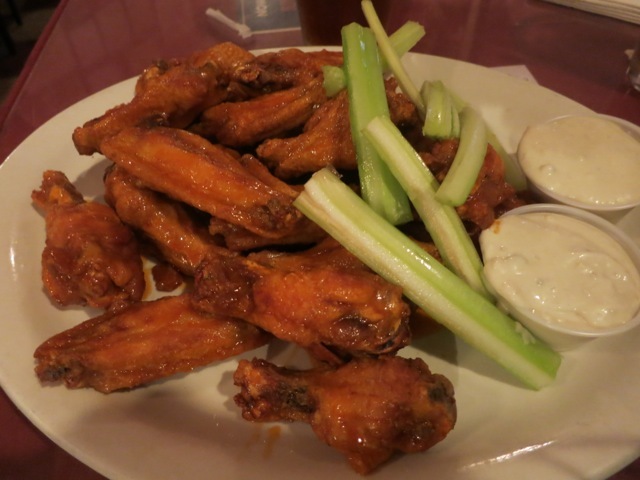 Have a drink at Founding Fathers Pub. Trivia nights and free nachos make this friendly neighborhood pub an international favorite. 18. Grab a Sponge Candy Stout at Resurgence Brewing Co. allowing you to both sample the beer and Buffalo's signature confection at the same time. 19. Choose from 32 craft beers on draft and over 150 in bottles at Blue Monk -- a funky, fun spot favored by true beer aficionados. 20. 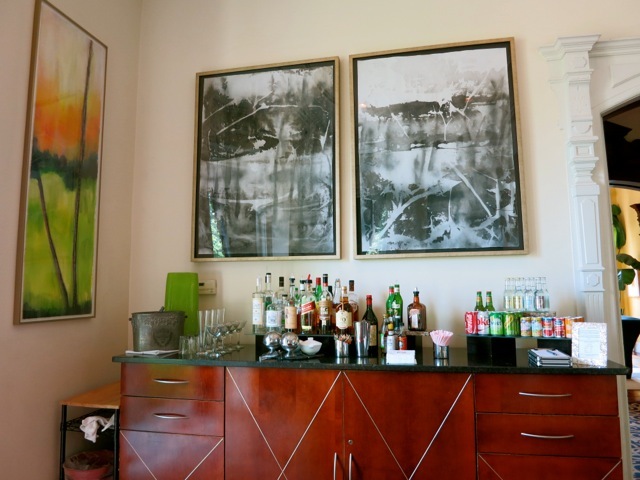 Stay like the celebrities do at the Mansion on Delaware and let butlers see to your needs any time day or night. Built in 1869 as a home for a family of three (with 12 servants), the mansion sat empty for 30 years before its debut as a 28-room, four Diamond hotel in the early 'aughts. And like that family of three, you'll be spoiled rotten by a bevy of butlers at your beck and call. Décor is stunning -- Marimekko meets art deco with bones and woodwork intact -- a mash-up of moderns to highlight the original architecture to smashing effect. Afternoon wine and cocktails are complimentary (two glasses, then honor bar kicks in), European breakfast spread includes smoked salmon and the creamiest chocolate croissants on the planet, and rides within three miles are on the house.